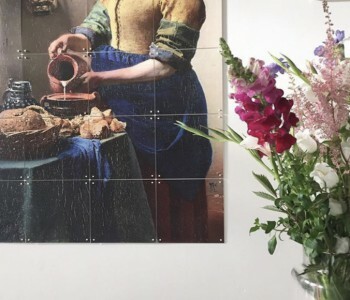 Decorate the wall of your living, dining room or bedroom with this IXXI wall decoration of "The Milkmaid", one of the masterpieces by Johannes Vermeer. This IXXI wall decoration consists of 30 printed square cards (20 x 20 cm), torque crosses and a suspension system. You put it so into each other and confirms him without nails on the wall. 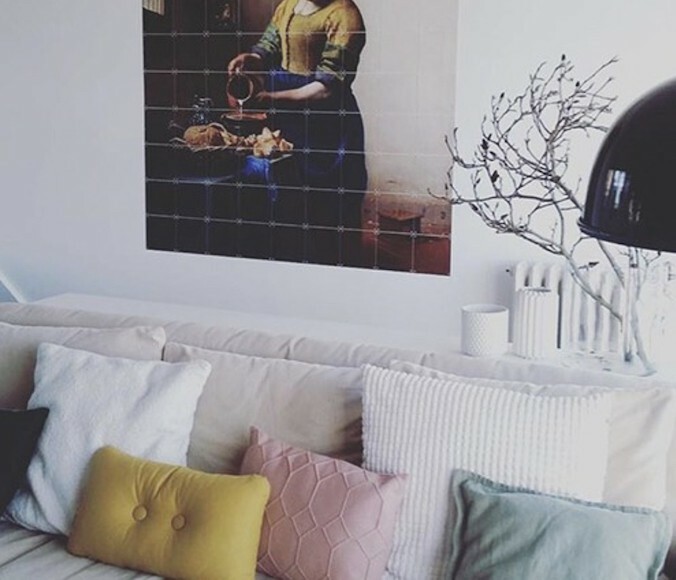 With IXXI, you can easily create your own wall decoration. An IXXI wall decoration set consists of printed square-shaped cards, that are attached with torque crosses. These square-shaped IXXI cards are made of synthetic paper (Synapse) and are 0.3 mm thick. The cards are UV and water resistant and can easily be changed or expanded upon. 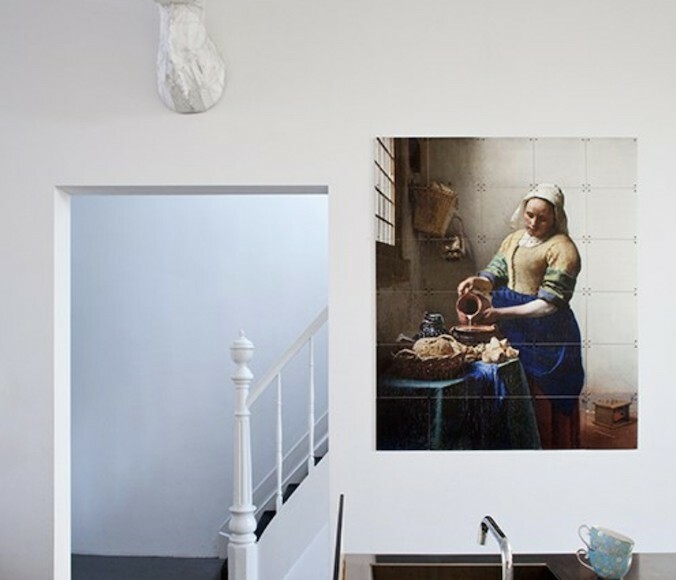 A life-size Vermeer to the wall in contemporary design. Decorate the wall of your living, dining room or bedroom with this IXXI wall decoration of "The Milkmaid". One of the masterpieces by Johannes Vermeer. A great artwork in your home for little money! IXXI comes as a building kit in a compact box. The box contains 30 cards of 20 x 20 cm. By placing the cards in the correct order and attaching them using the torque crosses, you can create an abstract artwork for your wall. You can easily fasten the IXXI to a wall without having to use nails. How is an IXXI made? Watch how easy it is to make your own IXXI wall decoration on YouTube!